A well researched and interesting account of 100-foot waves, the big ones that are expected and provide an “Everest” for tow-surfers to climb and ride — and the unexpected ones that come out of nowhere in a storm to sink giant supertankers in less than a minute or tsunamis that wipe out whole cities. 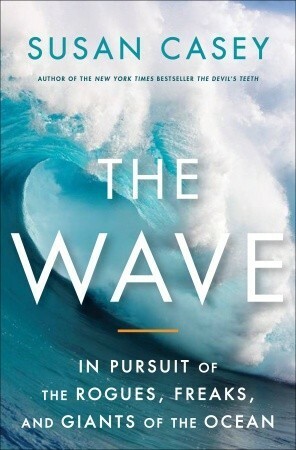 The NY Times, best selling author switches back and forth in the narrative as she circles the globe gathering data on and observing the world’s biggest waves, from surfing exploits, to oceanographic scientists wave modeling, to Lloyds of London ships-lost-at-sea records. I didn’t find it great literature, but the material was interesting. She does a good job showcasing the personalities she worked with gathering material for the book. I found the surfing parts particularly interesting since many of the breaks on Oahu and Maui she describes were where I surfed (only small 5-10ft ones!) when I lived in Hawaii in the 70s. Growing Pains for GoDaddy WordPress Managed Hosting – no easy way to backup your site! WordPress 3.5 has arrived, I've installed it, and nothing seems to be broken. Come to the weekly WordPress Support Groups every Wednesday and Friday, sponsored by Techliminal in downtown Oakland CA. We are a small group of independent WordPress consultants comprising visual designers, illustrators, UX strategists, engineers, website developers, SEO advisors, and trainers specializing in developing and maintaining WordPress websites in the San Francisco Bay Area. © 2019 WordPress Website Coach. All Rights Reserved.